The winter season is here. For sure, a lot of people recede into the warm comfort of their home. However, the freezing temperature should not hinder you (and your dog) to become more productive; make use of your ample time for dog obedience training Oceanside CA. Do it indoor. A lot of obedience dog training skills can be taught indoor. For instance, you can work on sit, down, come, and stay in a small place. You can also start to teach your dog to heel. Using improvised obstacle course such as small tables or chairs (or other alternative items that are already there), you can refine your dog’s ‘heeling’ skills. Provide a space for indoor exercise. Again, there are plenty of dog obedience training Oceanside CA activities that can be done indoor and it is imperative that you provide enough space for your dog to practice such obedience skills. For instance, advanced commands such as roll over, fetch (e.g. getting a ball), take it, can be done with enough space. 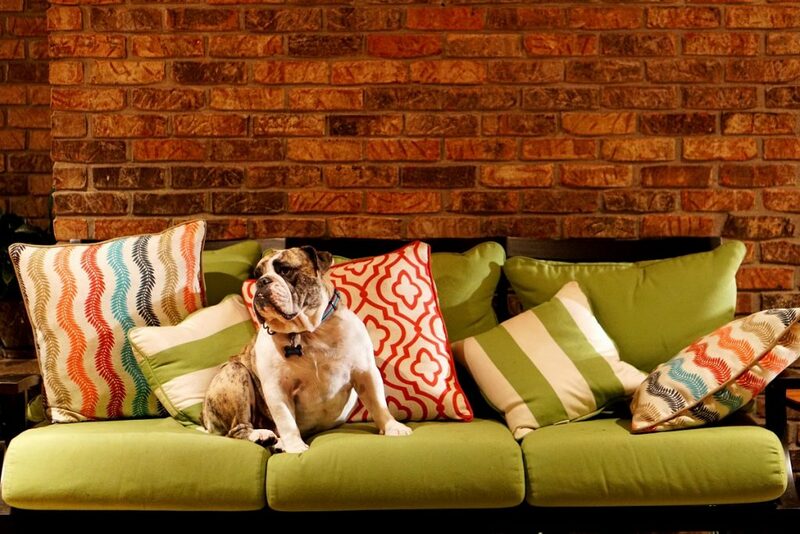 A space in your garage can be enough for your dog to play/train, and move around. Initiate brain-teaser games. Dog obedience training isn’t just about activities that challenge your pup’s physical capabilities. They can be greatly enhanced by training his brain. So include brain-teaser games in your list of obedience training for your dog. For instance, you hide treats or toys and let your dog find them. You both can even play a fun game of hide and seek. Take him out occasionally for exercise. Even when it’s winter, there are breaks in the weather. When the snow stops falling, it’s a good time to take your dog out to do some more challenging physical exercises. You can start by letting him out for a brisk exercise walk with you. Please note that some breeds may need a winter coat, so check it out if your pup is one of these breeds. The winter season should not stop your dog from learning new obedience skills; you can do it indoor – inside the warm comfort of your home. If you need some assistance, do not hesitate to call a dog training professional to make the training session more effective and fun. 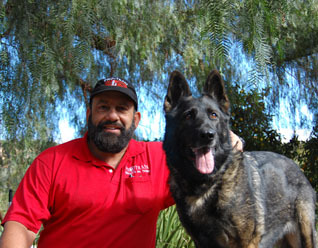 For professional dog obedience training Oceanside CA, contact our experts at Pro-Train. Call today at 1-877-BAD DOGS. Are you searching for the best dog training school in Encinitas, CA? 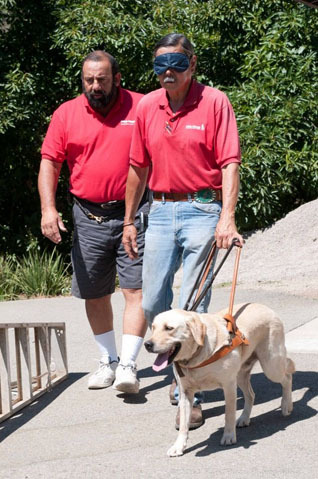 With over 40 years experience Pro-Train certified private dog trainers will provide the absolute highest quality service dog training lessons you’ll find anywhere in Encinitas, CA! What Areas Do We Service In Encinitas? 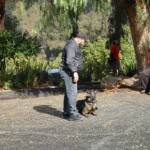 We’re proud to be North County ‘s premier dog training school and service all areas in the city of Encinitas, San Diego including: Alpine, Bonita, Bonsall, Borrego Springs, Bostonia, Boulevard, Camp Pendleton, Campo, Cardiff, Cardiff by the Sea, Carlsbad, North County, Coronado, Crest, Del Mar, Descanso, Dulzura, North County, Rancho Bernardo, San Diego, Fallbrook, Guatay, Imperial Beach, Jacumba, Jamul, Julian, San Diego, La Mesa, Lakeside, Lemon Grove, Leucadia, Lincoln Acres, Mount Laguna, National City, Nestor, Ocean Beach, North County, Olivenhain, Pacific Beach, Pala, Palomar Mountain, Paradise Hills, Pauma Valley, Pine Valley, Potrero, Poway, Rainbow, Ramona, Ranchita, Rancho Bernardo, Rancho Santa FE, North County (County Seat), North County State University, San Luis Rey, Rancho Bernardo, San Ysidro, Santa Ysabel, Santee, Solana Beach, Spring Valley, Tecate, North County, Valley Center, Vista, and Warner Springs. We serve the following cities and zip codes throughout North County, Encinitas: 92101, 92102, 92103, 92104, 92105, 92106, 92107, 92108, 92109, 92110, 92111, 92112, 92113, 92114, 92115, 92116, 92117, 92119, 92120, 92121, 92122, 92123, 92124, 92126, 92127, 92128, 92129, 92130, 92131, 92132, 92133, 92134, 92135, 92136, 92137, 92138, 92139, 92140, 92142, 92145, 92147, 92149, 92150, 92152, 92153, 92154, 92155, 92158, 92159, 92160, 92161, 92162, 92163, 92164, 92165, 92166, 92167, 92168, 92169, 92170, 92171, 92172, 92174, 92175, 92176, 92177, 92179, 92182, 92184, 92186, 92187, 92190, 92191, 92192, 92193, 92194, 92195, 92196, 92197, 92198, 92199. It’s a whole new era for income earners! The sky’s the limit! Getting a job can be tough but especially if you have disabilities that have prevented you from gaining experience. But, for most of us, not working isn’t an option. Keep reading for ways to get your own gig going and tips on how to handle the interview process if starting your own business isn’t your goal. If you’re a dog person, Rover has people and pets that want to meet you. By becoming a dog walker, pet sitter, or boarder, you’ll get to turn your passion for pups into a paycheck. Rover offers the chance to book your own appointments and set your own rates and ensures you are paid for your time. It’s a turnkey platform for aspiring entrepreneurs that don’t have the time to devote to establishing a new business. If you like to drive and don’t mind darting around town with food in your car, DoorDash can whet your appetite for employment and flexibility. As a Dasher, you might drop off waffles for a stay-at-home mom’s kid’s breakfast and deliver a tofu salad to a professional office building. Every day is a new culinary adventure. Sign up here. Here’s another driving gig that can get you out of the house but without leaving a lingering food smell after each project. As a Lyft (or Uber) driver, you set your own times that you’re available. Drive around, accept pickup requests, deliver your client to their location, and get paid. If you’re quick like a bunny and have a handy skill, you can multiply your earnings as a handyman, cleaner or personal assistant through TaskRabbit. Set your own rates and only accept the jobs you want to do. You can register as a tasker on the company’s website. You aren’t limited to pre-planned opportunities. If you’re aggressive and don’t mind a little hard work locating clients, you might also consider starting your own business drop-shipping in-demand products. A drop-ship business model is one of the few truly low-risk ventures. Basically, you pick a product, market it under your own brand and have the manufacturer ship directly to your customer. You pay a wholesale price for the merchandise and keep whatever profit you’ve built into your pricing structure. A career as a dog trainer is a rewarding one indeed. We’re biased here at Pro-Train. We love what we do and we want to train others who have the same passion for helping canines and their clients. Becoming a dog trainer is one of the most rewarding careers and offers many opportunities for flexibility and income potential. 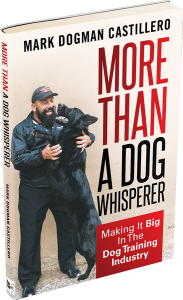 To learn more about becoming a dog trainer, check out the Best Selling Book by our Founder, Mark “Dogman” Castillero. More than a Dog Trainer: Making it Big in the Dog Training Industry details all the steps and preparations for becoming a dog trainer. If you’d rather stick with traditional employment, you’ll first need to get yourself in the doors for an interview. If you don’t have any experience, however, you’ll need to outshine the competition by proving you’re qualified. This starts by presenting a great resume. Resume Companion lists three resume types: chronological, functional and combination. You may want to steer clear of chronological if you haven’t held a job before or have gaps in your work history. A functional resume gives you the space to showcase your talents and achievements without drawing attention to blank spaces in your professional past. If you manage to snag an interview, you’ll need to be prepared to answer tough questions. Monster contributor Martin Yate explains that recruiters are looking for applicants that understand the position in which they are applying, have relevant skills and are enthusiastic. Make sure you know about the company and can highlight past experience, even if its unpaid experience — volunteering in the church nursery at the very least shows you aren’t afraid of hard work. If you want (or need) to earn an income, but you have issues that prevent certain types of employment, starting your own business is a good way to go. But there’s no reason you can’t clock in and out in a 9-to-5 either. It’s undeniable that taking your dog into an obedience training gives a number of benefits (for both the owner and the canine). However, many find taking their dogs to a training facility a hard-to-fulfill commitment because they do not have the luxury of time to squeeze it in their schedules. If you are having a second thought on whether or not to take your dog to an obedience training program, here are some of its benefits that may help you finally realize that it is the way to go for your dear canine. Better control. The fundamental concepts of obedience training for dogs is for them to understand basic commands, learn how they become more social, and how they are expected to behave not just in front of you but other people as well. For instance, with obedience training, your dog can effectively learn commands like sit, come, drop it, leave it, stay, stop, wait, among others. Helps develop a stronger bond. With dog obedience training San Diego, you can expect a stronger bond between you and your dear canine. A well-trained dog is more manageable, relaxed, content, and confident. When your dog completes an obedience training, you can expect it to pay more attention to you, its owner. Safety. 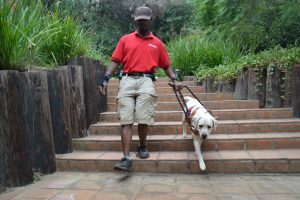 A dog that is obedience well-trained can help make your place a safer place. 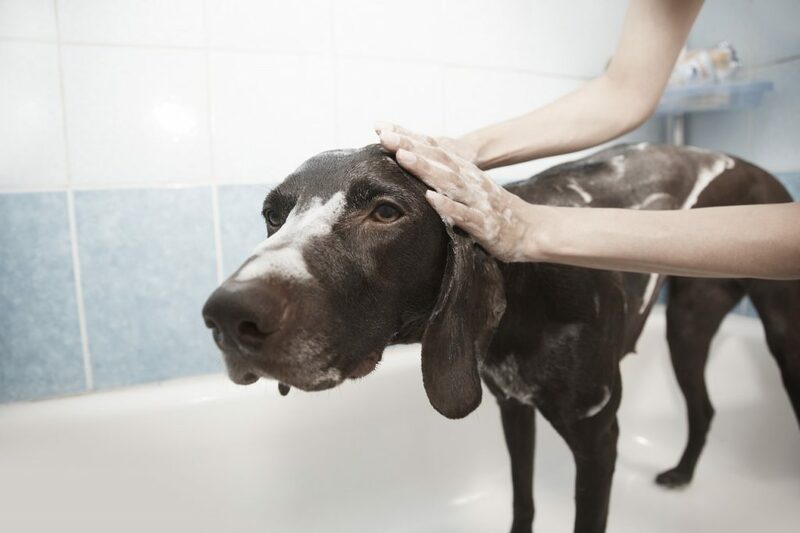 Even without your full supervision, your dog is safe to be around your family and friends. Obedience training makes it a low-risk pet. Of course, you do not discard the fact that, at the end of the day, animals will be animals, and they sometimes are unpredictable. Therefore, it still makes sense that those people around it are mindful and act in the most friendly way with your pet. The positive impact on mood of the owner. Dogs are naturally beneficial to human’s psychological and emotional wellness. What more when your dog becomes more adorable after learning some obedience and other tricks? It is beneficial the the overall well-being of the owner. 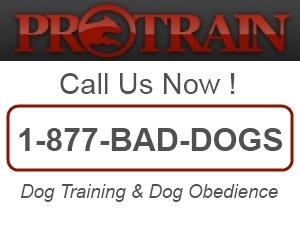 For expert dog obedience training San Diego, contact one of the most trusted in the area – Pro-Train.